INDIANAPOLIS - The parade keeps marching by in Victory Field, where 12 different Indians pitchers have been called up or recalled by the Pirates this season. Here today, in Pittsburgh tomorrow. But not Tyler Eppler. Here yesterday, here today, here tomorrow. The phone keeps ringing, only it's never for him. Tyler Eppler? He's been as regular a presence in Victory Field this season as Rowdie. He's a man still waiting, and a pitcher still winning. As the long line of Indianapolis pitchers got their chance in Pittsburgh, he kept smiling, kept working, kept piling up victories. Twelve wins at last count, second most in the International League. "For me that's been the most impressive thing about him," pitching coach Stan Kyles was saying this week. "He's obviously put up the numbers that should have gotten him the opportunity. He understands that, but he knows a lot of times, it's just the right situation and the right time. But he also understands those are things he can't worry about." Worried? No. A trifle frustrated? Who wouldn't be? Eppler is 25, and he's been winning, with an 8-0 record at home. He can't wait for his big league shot. Only, he's had to. But then, he's a devout man and when troubled, he knows just where to look for comfort. It's thick, and starts off with Genesis. "I read the good book a lot, and it teaches patience," he said. "So I think that's a big test for me, the patience part of that. I firmly believe that it's all in His plans. Whatever the timing is, it's not my timing, it's not whenever I want to go up there. Whenever that call is, it's the Good Lord's time." That'll be a big day for him, all right. 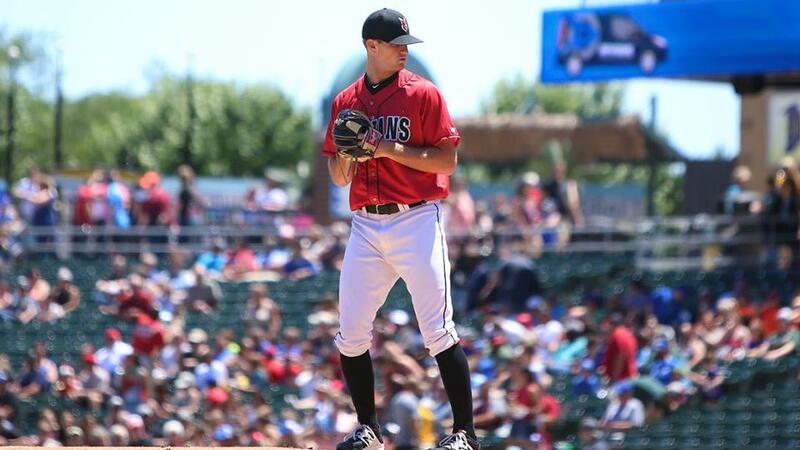 You want another really big day in the life of Tyler Eppler? June 24, 2014. The afternoon he was drafted. Among other things. "Probably one of the best days of my life," he said. He was at home in Navasota, Texas, 15 minutes south of College Station. Family, buddies, his girlfriend Marissa were all there, to hear the Pirates call his name in the sixth round. Meanwhile, his mother was keeping something for him; an engagement ring for Marissa. He figured it was the right time to pop the question. "They announced my name and everybody kind of went nuts," he said. "My mom had the ring, so as soon as that happened, she handed it to me and I had it in my pocket. Marissa was so busy getting phone calls from her family and friends, I had to wait for all that to calm down. As soon as it did, I dropped down on one knee. She turned around, and I think it probably was the most surprised she's ever been, and maybe ever will be." Eppler had gotten the idea from college teammate at Sam Houston State. "The day kinda centered around me, so I thought that's when she'll be least expecting it," he said. By the way, Marissa said yes. Four years later, Eppler is a married pitcher working on his craft and waiting for his moment. He arrived in Indianapolis in 2017, started well, then hit a wall. Or more pertinent, a lot his pitches were going over the wall. He set an Indians' Victory Field era high by allowing 23 home runs; not exactly the way a guy wants to show up in the record book. "I started out really hot and kind of got punched in the face and hit around a little bit," he said. "I didn't make adjustments soon enough, and it snowballed from there and got worse." This season, the home run total is down to 13, and the few bad starts have usually been followed by good ones. The Indians pitching staff has too often reminded you of the Indiana weather - blue skies one minute, thunderstorm warnings the next. But listen to Kyles go on about Eppler. "He has been the one guy that has been the most consistent, particularly as a starter, on the team. The most important thing is he's become more of a complete pitcher. He understands the value of pitch execution, trust in his stuff. He understands the importance of command. He's able to situational pitch a lot better than he did all of last year. "This year he understands, `Hey, I'm not giving in, I'm going to make my pitches, I'm not just going to throw the ball over the plate and hope.' There's a tenacity to his execution." Seeing his name near the top of the International League list for most victories has been its own booster shot for Eppler. It's evidence in black and white of how this season has been different. "You're on a winning team making a playoff push right now and every time you go out and make a start, you want to give your team a chance to win," he said. "That's what this game's all about. So that stat means a lot to me, and it means a lot to the team." Now, if he could only fix a couple of things. The road thing. He is Cy Young in Victory Field - 14-1 the past two seasons, with a 2.73 earned run average. Not so much, outside the 317 area code - 6-14 in two seasons on the road, with a 6.04 ERA. To be sure, the Indians' home park is to pitchers what West Virginia was to John Denver. Almost heaven, with its vast outfield spaces, where a man can throw strikes and let the defense work behind him. "That's kind of been my MO anyway," Eppler said. "I think I've been trying to do a little too much on the road to flip that and even those splits," said Eppler, who had a strong outing his last road appearance in Columbus. "I'm going to go out and pitch my game, it doesn't matter where I'm at. I'm still me." Also, there's the first inning thing. Eppler has given up 16 first-inning runs in 24 starts this season. He has no clear reason why. But most of the other innings have been pretty swell. He keeps shaking hands with departing colleagues as they leave for Pittsburgh, this man left behind, then returns to the task before him. "As much as we like to say that that's the most important thing, it's hard for guys to go out and really keep that in mind and continue to throw the ball effectively," Kyles said. "He hasn't allowed it to deter him from his routines and his effort. That to me has been the most important part to him. For him to be so steady all season, knowing that's the biggest dream he has and other guys have had the chance, is really impressive." Meantime, Tyler Eppler waits for the call to be his call. "That's the goal," he said. "That's why we're playing this game."